Both parts daring and dreamy, Coral's form-fitting peek-a-boo bodice is sweetly enveloped in lightly beaded swirls of lace appliques. Bursting with flirtatious femininity, the sheer design of the bodice perfectly blends into the bride's skin, creating a bateau illusion neckline that naturally forms into a V-shape with the patterns of lace. Coral's organza skirt subtly starts at the natural waistline as the lace appliques continue to drip down the A-line silhouette of this dreamy wedding gown to create a flattering dropped waist design. The back of the wedding dress continues the look of modern magic with a matching illusion back, featuring an ornate and eye-catching lace design. 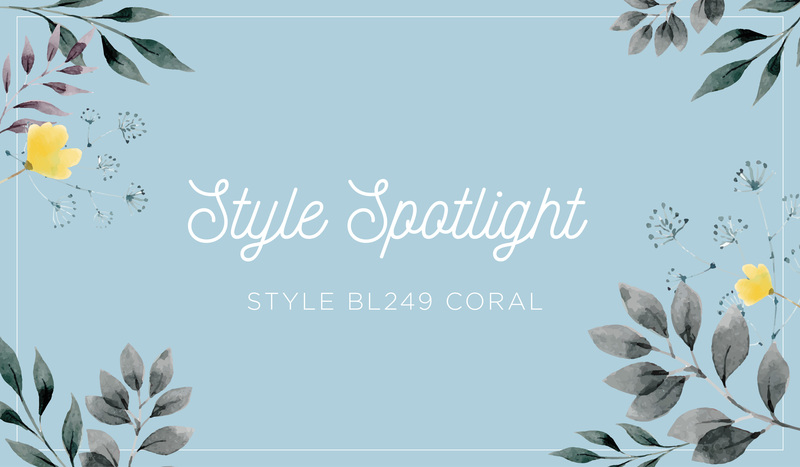 Coral's swirling patterns of lace softly catch the sunlight with her delicate detail of sequins and beading. 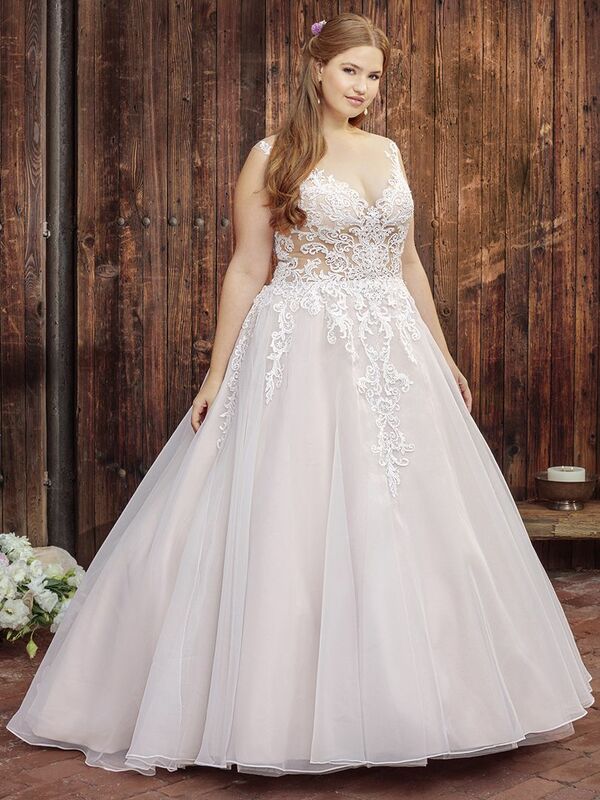 This gown's combination of a dropped waist and A-line silhouette create a flattering and flirty fit for the plus-size bride. This gown's combination of a dropped waist and A-line silhouette create a flattering and flirty fit for the plus-size bride. This dress it the perfect choice for whimsical brides and outdoor weddings. For more wedding dress ideas and inspiration, make sure to follow Beloved by Casablanca Bridal on Pinterest!